Dante’s View sits high above the valley floor at 5,475 feet elevation near the edge of the Black Mountains. The view from Dante’s one can see Southern Death Valley Basin, Owlshead and Funeral Mountains and as far as Mount Whitney on very clear days. Dante’s view was named by a famous writer Dante Alighieri, who wrote Divina Commedia (Divine Comedy). In April 1926, the name was given by a businessmen from the Pacific Coast Borax Company. Dante’s View was also used as a location the 1977’s Star War’s film. 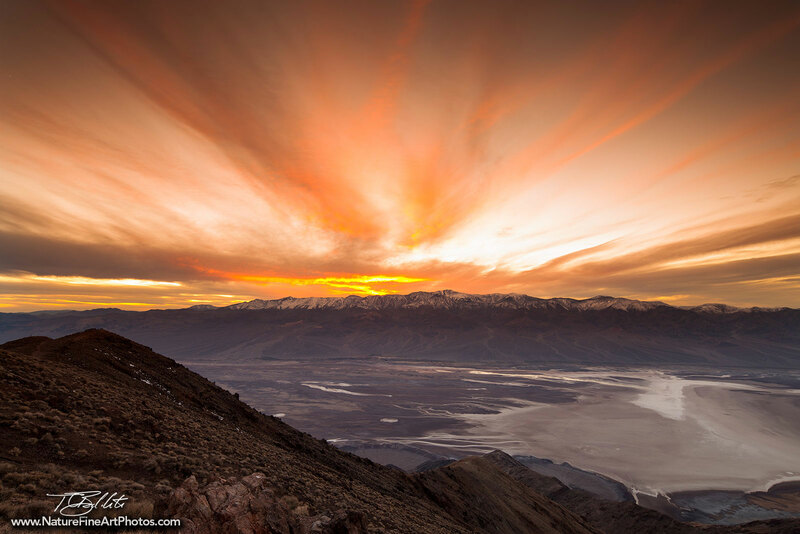 This sunset photo from Dante’s View in Death Valley was published in Backpacker Magazine (November, 2014).